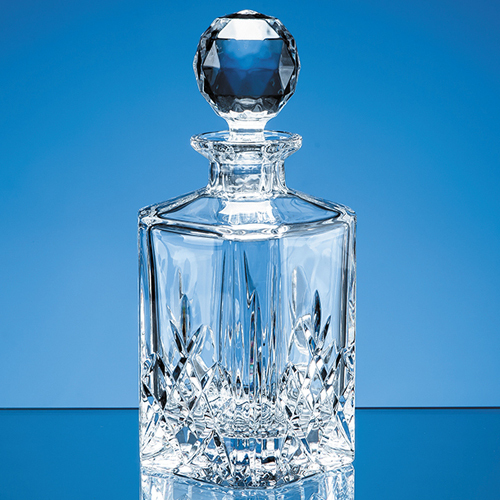 This stunning Blenheim lead crystal square 0.8l spirit decanter could take pride of place in any drinks cabinet. With its elegant diamond and wedge cut pattern it is the perfect gift for a variety of occasions - from an award for corporate recognition or achievement to a wedding, birthday or anniversary gift. Also available as an optional is a delightful satin lined presentation box. The decanter matches other full cut glasses in the Blenheim suite.